How will the world come to know that God sent his Son? Through our unity? How will the world know that God truly loves us as his children? When we live together in unity. What is that unity? That's harder to define. The basis of unity is a life of character so consistent with the will of God that he can be seen living in us! 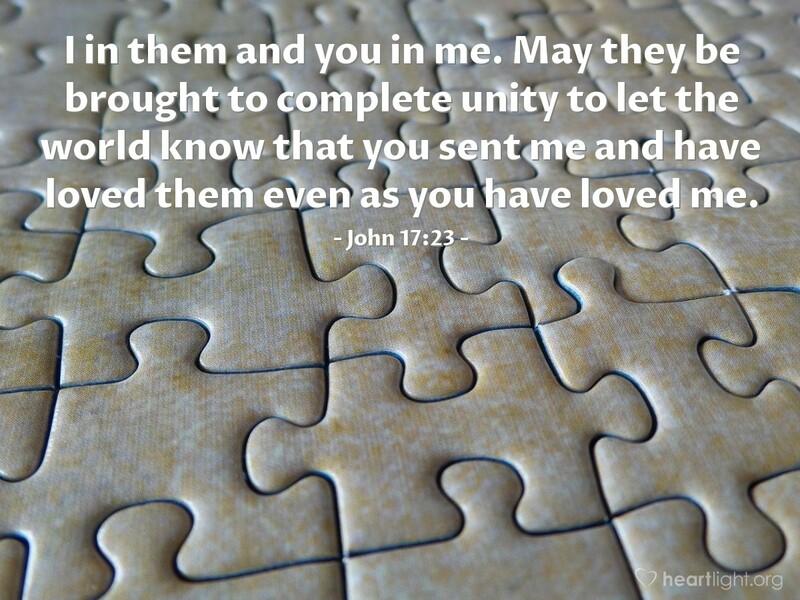 Yet for this kind of unity to be seen by the world, it has to be visible in the way we work with each other in the cause of the Gospel, the way we handle our differences, the way as a group that we consistently treat people of the world, and the way we come together in areas that clearly matter to God. May it only be so!